Rainbow Symphony’s line of safe solar viewing products will be widely available for TSE 2017. Eclipse Shades® Safe Solar Eclipse Glasses, Viewers & Solar Filters are absolutely safe for direct solar viewing of solar eclipses, Sun spots and other solar phenomenon. Protect Your Eyes from Harmful Solar Radiation during a Solar Eclipse. Wear your Eclipse Shades® – Safe Solar Eclipse Glasses to protect your eyes from harmful solar radiation anytime you look at the Sun or the Sun’s reflection. Partial eclipses, annular eclipses, and the partial phases of total eclipses are never safe to watch without taking special precautions. 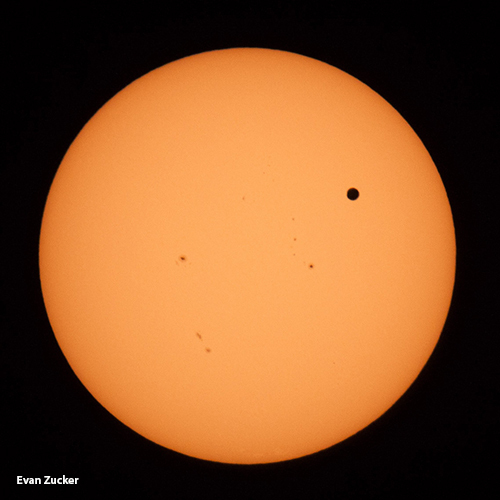 Even when 99% of the Sun's surface is obscured during the partial phases of a total eclipse, the remaining photospheric crescent is intensely bright and cannot be viewed safely without eye protection and only with filters designed for this purpose. [Ralph Chou, 1981; Marsh, 1982]. Do not attempt to observe the partial or annular phases of any eclipse with the naked eye. Eclipse Shades should not be used with any other optical appliances such as cameras, telescopes, binoculars or finder scopes. This product is not a toy. Young children should use only with adult supervision. All this being said about these precautions, the total phase of an eclipse can be viewed without any filters whatsoever. The naked eye view of totality is completely safe and is overwhelmingly awe-inspiring! For a few seconds or a few minutes the moon completely covers the sun making it safe to see other parts of the sun such as the corona, prominences, and chromosphere. You can (and should) look directly at the sun without a filter, but only during totality. Remove your Eclipse Shades – Safe Solar Viewing Glasses to enjoy totality and then put them back on once totality ends. Depending on your location, totality will only last a maximum of 2 minutes and 40 seconds during TSE 2017 and it is worth seeing! 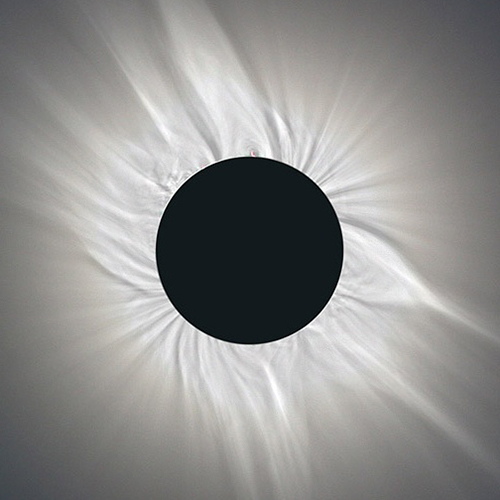 Here is a short list of filters not designed for solar viewing: Unsafe filters include 2 layers of photographic film, some non-silver black and white film, medical x-ray films with images on them, smoked glass, photographic neutral density filters, polarizing filters or silver foil candy wrappers. Do not experiment with other filters unless you are certain that they are safe. Make sure the eclipse viewing glasses you are using have all the current certifications for safety. Go here for our selection of eclipse glasses and eclipse viewers designed specifically for safe solar viewing of eclipses, sunspots and other solar phenomena. A solar eclipse is an amazing thing to see -- but you have to be careful to see it safely! The sun's rays can burn the retina and cause permanent damage to your vision. In this video, Dr. Ivan Schwab, a clinical correspondent for the American Academy of Ophthalmology talks about safe ways to watch a solar eclipse. Eclipse Safety is important when it comes to preparing for the total solar eclipse. Purchasing the correct eyewear to watch a solar eclipse is important. Normal sunglasses will not protect from the intense rays when the moon passes over the sun. Ordering certified eclipse glasses from Rainbow Symphony Store is your safest and best bet when it comes to purchasing the right set of eclipse glasses.